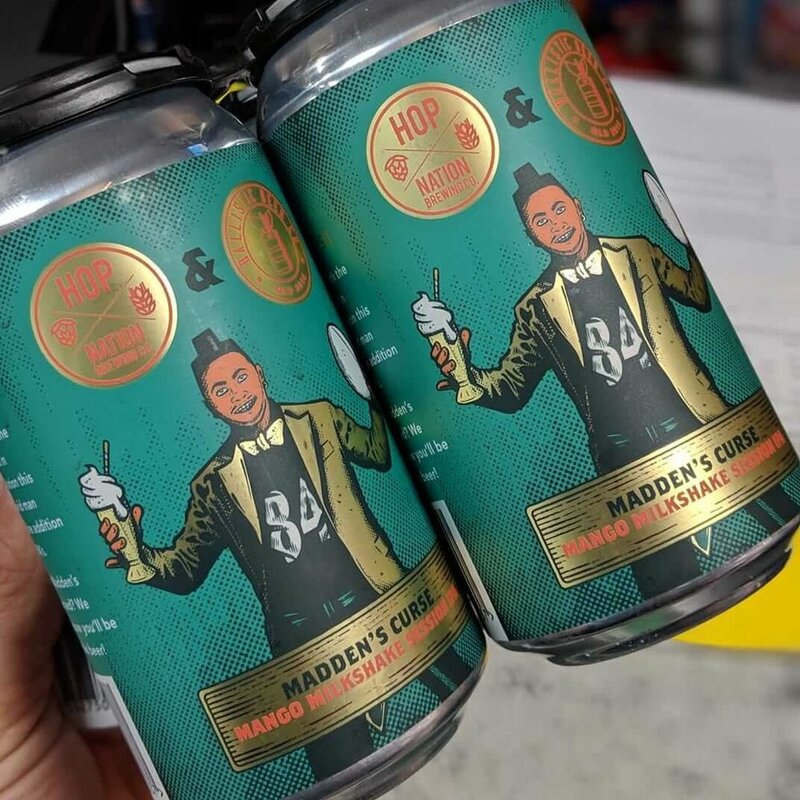 This is what you get when two Aussie breweries are mad about NFL. Meet a new arrival to the store in this Collab between Ballistic Brewing Co & HopNation. Who doesn’t love a fruity milkshake IPA? If you get around a NEIPA or two just imagine even fruitier and creamier. A dank thick mouthfeel truly reminiscent of a thickshake or fruit smoothy. This little number has been inspired by the NFL'S own Antonio Brown over at the Raiders. Madden's Curse is a real thing. It comes in at a very sessionable 5% so you can enjoy these things all arvo long.